The Maryland Historical Trust is a state agency dedicated to preserving and interpreting the legacy of Marylandâ€™s past.Â Through research, conservation and education, the Trust assists the people of Maryland in understanding their historical and cultural heritage.Â The Trust is an agency of the Maryland Department of Planning and serves as Marylandâ€™s State Historic Preservation Office (SHPO) pursuant to the National Historic Preservation Act of 1966. The Trust was created in May of 1961 as a quasi-public corporation for the purpose of accepting and maintaining gifts of property and for assisting and encouraging preservation activities throughout the state.Â Funding was provided by the State and leadership was provided by a Board of Trustees which still exists today.Â Over the next few years, a survey and inventory program was initiated and financial assistance programs including state-funded grants and loans were developed. Over time, the Trustâ€™s mission has grown to include the review of state undertakings on historic properties,Â assistance to non-state historical and cultural museums,Â cultural conservation, underwater archeology, and heritage tourism activities.Â Programs of the Trust include the Jefferson Patterson Park and Museum (JPPM) located in Calvert County, Maryland. Â This 560-acre property was donated to the State of Maryland in trust to the Maryland Historical Trust on June 16, 1983 by Mrs. Jefferson Patterson to be a passive recreation, education, and research facility. Â Â Today, JPPM is home to the State Museum of Archeology and the award-winning Maryland Archeological Conservation Laboratory. 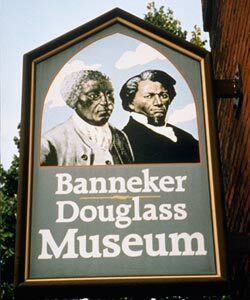 The Banneker-Douglass Museum, named for Benjamin Banneker and Frederick Douglass, is dedicated to preserving Maryland’s African American heritage, and serves as the state’s official repository of African American material culture. The museum was dedicated on February 24, 1984. The original museum was housed within the former Mount Moriah African Methodist Episcopal Church in the heart of historic Annapolis. The Victorian-Gothic structure was included in the Annapolis Historic District in 1971 and placed on the National Register of Historic Places in 1973. The recently completed BDM addition is a four-story addition which uses the nineteenth-century brick of the churchâ€™s north faÃ§ade as its interior lobby wall. The Banneker-Douglass Museum celebrated its 25th Anniversary on Tuesday, February 24, 2009.Â The museum annually sponsors and hosts a variety of preservation, arts, and cultural lectures, workshops, performances, and other programs.